Kiehls has recently tweaked and re-tested the formula for its classic Ultra Facial Cream, and I got to put it to the test, with myself as guinea pig! 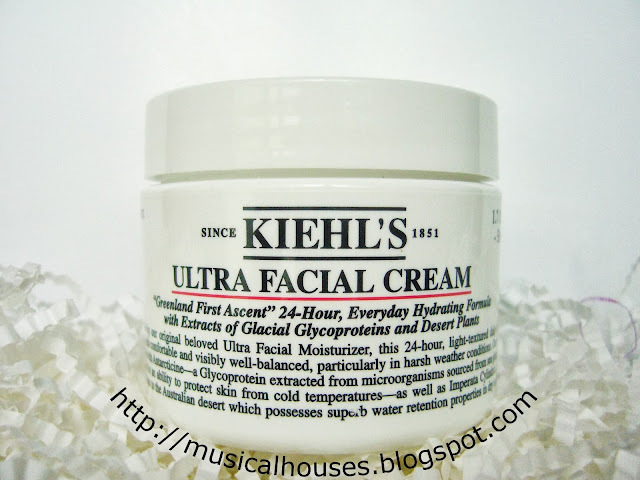 The Kiehls Ultra Facial Cream has certainly got a reputation as one if THE face creams for hydration, and is one of Kiehl's most iconic products. So of course as you might imagine, I was excited to give this a go and subject this to (what I imagine is) my rigorous testing! Kiehl's Ultra Facial Cream: The facial cream with a big, bad reputation. I did say the Kiehl's ULtra Facial Cream is famous. The moisturizer is known to provide 24-hour hydration, and in fact, Kiehl's partnered with adventure explorer and polar guide Doug Stoup, on his recent expedition to the North Pole in the Arctic Ocean. So if it is the cream of choice for someone making an expedition to the North Pole, it's gotta be good, right? Because of the Ultra Facial Cream's reputation for being used by explorer to the North Pole and such, when I tried the Ultra Facial Cream, I expected it to be all thick and heavy and greasy. But to my surprise, it wasn't. In fact, it fared much better than I expected! The Kiehl's Ultra Facial Cream is actually a pretty lightweight cream that could be used for everyday. For a cream, it sinks in fairly fast and did not leave much residue behind. While it's certainly substantial enough to be used as a night cream if you so desire, it also works well as a day cream used under makeup. I've tried it both as a day and night cream, and was happy with it either way. It also seems a little thinner than some of the other Kiehl's creams I've tried (I'm thinking of the Powerful Wrinkle and Pore Reducing Cream, actually). Also, the Ultra Facial Cream has no fragrance, which is great. The ingredients for the Ultra Facial Cream are also really great if you're looking to moisturize your skin. The key ingredients are water, of course, as well as Glycerin, a very useful humectant in skincare. Other than that, there are ingredients that help to moisturize the skin. These include Squalane, another excellent moisturizing ingredient, Bis-PEG-18 Methyl Ether Dimethyl Silane, which despite its long name is actually an ingredient that helps with moisturizing the skin, and improving the texture of the cream, Sucrose Stearate, another emollient, and Stearyl Alcohol, which despite the "alcohol" in its name is actually not drying to skin - it's a fatty alcohol, which helps to moisturize the skin. (Just clearing up that bit of misinformation which seems to be aggressively lobbied for in some parts of the Internetz. Not all alcohols are drying, fatty alcohols have a different chemical structure so they behave differently and are moisturizing to the skin.) And because so many emollients in the cream mean it could be pretty heavy-feeling, there's also Cyclohexasiloxane, which helps give the otherwise-would-be-quite-thick cream a more spreadable texture. So yes, the Ultra Facial Cream is packed with lots of humectants and emollients, to give you great hydration, while still feeling light on the skin. As Kiehl's advertises, there are also some plant extracts, the main ones being Prunus Armeniaca Kernel Oil, Phenoxyethanol, Persea Gratissima Oil, Olea Europaea Fruit Oil, and Oryza Sativa Bran Oil. Those are great additions as natural moisturizers too. Kiehl's Ultra Facial Cream ingredient list: Useful, heavy-duty ingredients include glycerin, squalane, and other skin-moisturizing heavyweights. The best part about trying out Kiehl's products is that Kiehl's has a 100% satisfaction and money-back guarantee to our customers, within 28 days of purchase! I only recently knew about this as Kiehl's is currenty more aggressive in getting hte word out, so I thought I'd share this with you guys! I know, I know, I really should have mentioned this right at the beginning of the post. But better late than never, right? So now you get to try some of the products I've been pleased by and think work, with a money-back guarantee! Kiehl's Ultra Facial Cream: Now easier to try with the money-back guarantee! So if you're looking for a cream that offers great hydration with a solid, tried-and-tested-and-loved formula, and if you're looking for a value-for-money purchase that's effective, then this is worth checking out. After all, for the price you pay, you do get a tub that will last a long time (I always seem to go through my Kiehl's products slower than other brands! ), and for the kind of formula you get in the Kiehl's Ultra Facial Cream, the price is fair. I could definitely imagine another more high-end brand using a near-identical formula, while bumping up the price by a few more fifties. Because there isn't any fragrance, it's likely to work well even if you have somewhat sensitive skin, too. So yes, I do think this cream is pretty good, and if you're angling to try it, the money-back guarantee can't hurt, either! I have been wanting to try this cream but I was worried that it would be too heavy for me. Thank you for your review my dear, I'll go check this out after I have finished my night cream. I really like how you break down and explain the ingredients! @Anonymous: Yes, you are right. There are two parabens in the product, methyl paraben and propylparaben. And yes, I too have heard all about the paraben controversy, and to be honest, am getting a little tired of all the misinformation, half-truths, and fearmongering out there. The truth is, if you look at the amount if hoopla online in certain parts of the Internetz, versus the actual scientific data on parabens, you'll find that there is very little to justify the hoopla. Since Blogger has a limit on the length of comments, I'm going to break my reply up into a few parts, since I figure you'd probably want all the details rather than a summary. First, a little overview on what are parabens. 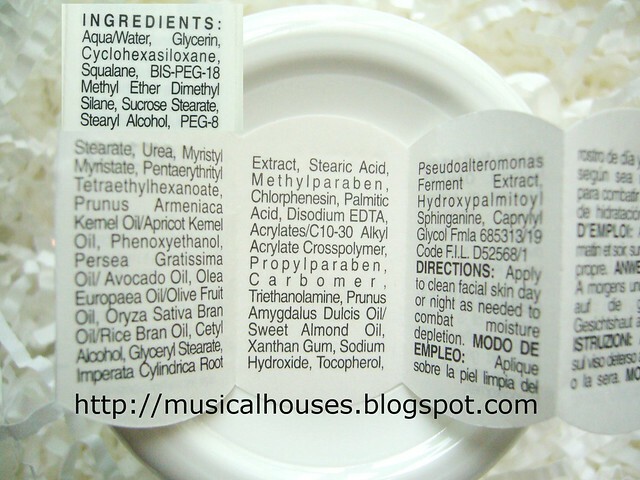 Parabens are preservatives that are added to cosmetic products to prevent microbial growth, which most commonly happens after a product is opened and the consumer starts using it (because when you open a jar of cream and stick your fingers in it, germs and other forms of life can get inside and start to breed). The level of preservatives used in cosmetic and skincare products is usually less than 1% (so very small amounts). Parabens are also allowed for use in food, also in limited amounts, although we won't go into that here because this is a beauty blog. But just a little tidbit of info. So, if parabens are safe, why all the hype? Most people who dislike parabens believe that parabens cause breast cancer. This view is actually derived from a bit of misinformation with lots of fearmongering thrown in. This view comes from a 2004 study (abstract here: http://onlinelibrary.wiley.com/doi/10.1002/jat.958/abstract ) where scientists took breast tissue from 20 women, and found that there were parabens in the breast tissue. This study was not conclusive by any means because 1) the researchers didn't look at paraben levels in breast tissue that wasn't cancerous (after all, water is in cancerous breast tissue too, but it doesn't cause breast cancer! So without comparing against cancer-less tissue, we can't draw any conclusions, and 2) the authors are not able to prove that parabens actually caused the cancer (correlation is not the same as causation). But people twist the results and selectively misinterpret them, and the vast majority of "omgz parabens cause cancer" type of online views are written as though the authors have proven that parabens cause cancer. It is a deliberate misinterpretation of the results, and a lot of misdirected hype. If we actually look at what the original study's authors conclude from their own results, they don't even claim that parabens cause breast cancer, only that there are parabens in breast tissue and this needs further study: "These studies demonstrate that parabens can be found intact in the human breast and this should open the way technically for more detailed information to be obtained on body burdens of parabens and in particular whether body burdens are different in cancer from those in normal tissues." (In other words, scientist-speak for "We've noticed that this exists, but we don't know why or how and we can't say anything about it. So it needs more study.") This is very different from what you read on those Internetz sites which act as though parabens have been proven to cause cancer, because people misinterpreted and sensationalize the data, and often, lobbying groups like EWG and so on are less than honest in how they represent scientific studies and data. In fact, this very same study is addressed by the FDA on their website (http://www.fda.gov/cosmetics/productandingredientsafety/selectedcosmeticingredients/ucm128042.htm ) and I'm quoting from the relevant bit of the article: "A study published in 2004 (Darbre, in the Journal of Applied Toxicology) detected parabens in breast tumors. The study also discussed this information in the context of the weak estrogen-like properties of parabens and the influence of estrogen on breast cancer. However, the study left several questions unanswered. For example, the study did not show that parabens cause cancer, or that they are harmful in any way, and the study did not look at possible paraben levels in normal tissue. FDA is aware that estrogenic activity in the body is associated with certain forms of breast cancer. Although parabens can act similarly to estrogen, they have been shown to have much less estrogenic activity than the body’s naturally occurring estrogen...Further, parabens are used at very low levels in cosmetics. In a review of the estrogenic activity of parabens, (Golden et al., in Critical Reviews in Toxicology, 2005) the author concluded that based on maximum daily exposure estimates, it was implausible that parabens could increase the risk associated with exposure to estrogenic chemicals." So as you can see, both the FDA and the authors of the original study are not able to make any links between paraben use and breast cancer. @Anonymous: And here's part 3! As a matter of fact, the vast majority of scientific studies available reaffirm the safety of parabens. You can get a neatly summarized overview of the other studies done in the CIR reviews here: http://www.cir-safety.org/sites/default/files/paraben_build.pdf - it is a very long document, but lists virtually every study on parabens done to date, so it is very useful as an overview. So as you can see, the vast majority of scientific data shows that parabens are not harmful as they are used today (i.e. used in small quantities in cosmetics and food), and all the major governing bodies have looked at this data and have concluded that parabens as used today are safe. Yet, there is so much misinformation and fearmongering going on just based on one single study done almost 10 years ago that doesn't even show any link between parabens and breast cancer (or any other form of cancer, for that matter). So this is exactly what I meant when I said that the established safety data on parabens doesn't warrant the current hoopla about them - it seems to me like the hysteria and fearmongering just got out of hand, especially because most people who hold this viewpoint don't seem to fact-check against actual scientific data. So to sum up - my view is that based on all the available actual scientific data I've seen, parabens are safe as used today, have very low irritation potential to the skin, and are effective microbe killers and preservatives. Particularly for cosmetics and skincare, given that they are used in such small quantities (less than 1%), my conclusion is that there is no cause for worry, despite all the fearmongering on the Internet. If anything, those concerned about parabens should look at their food, where you actually ingest parabens, rather than picking on skincare and cosmetics. It's your choice to come to your own conclusion and hold your views, but I always strongly prefer being able to base my views on scientific evidence, rather than twisting the science to fit my unjustified viewpoint. That was a long comment, but I hope it helps! That was a loong comment, but I hope this helps! And thank you for asking your question, I am happy that you thought to look up more info rather than just blindly believing the misdirected hype. It's what makes the comments on my blog so rewarding to respond to! Hi dear, how much will this product cost? @Anonymous: It is S$52. Hope this helps! Thank you so much for your very informative review on the product. I have been using kiehl's and was slightly shaken by the fear of paraben.Keep up the good work!! 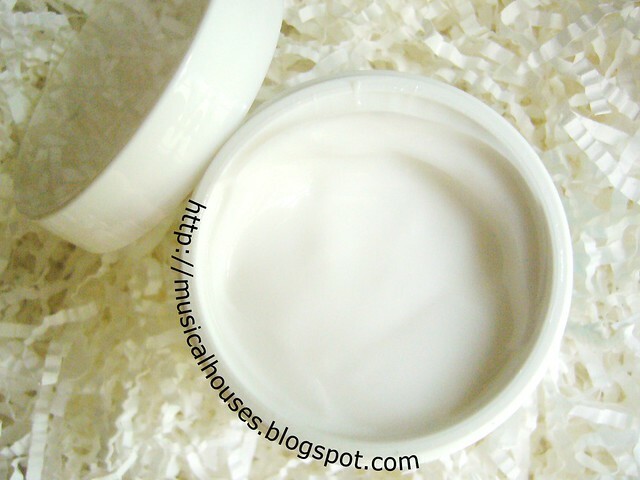 I would like to know your opinion about this post: http://www.truthinaging.com/review/kiehls-ultra-facial-cream-reviewed-and-rejected-2. I've recently bought this product, but the oil-free version, and after reading that I've honestly started to consider getting rid of it. What do you think? Thanks. While you're busy shouting about parabens you're missing on the real threat here. Phenoxyethanol is a known neurotoxin, Chlorphenesin is another neurotoxin banned in Japan, and studies have shown that Triethanolamine causes mutations in sense organs (eyes, ears, nose) in animals. Take of this what you will, but I personally wouldn't touch this product with ten-foot pole. I am a big fan of Khiel's kindly update more as I would like to know as much as Qiqi Lau above. Even people keep saying it's toxic but that's the cream I find most effective what an orony..the rest I can't see much improvement even after a bottle used.